Hopefully my tips will help shorten the learning curve using the Ace 250. 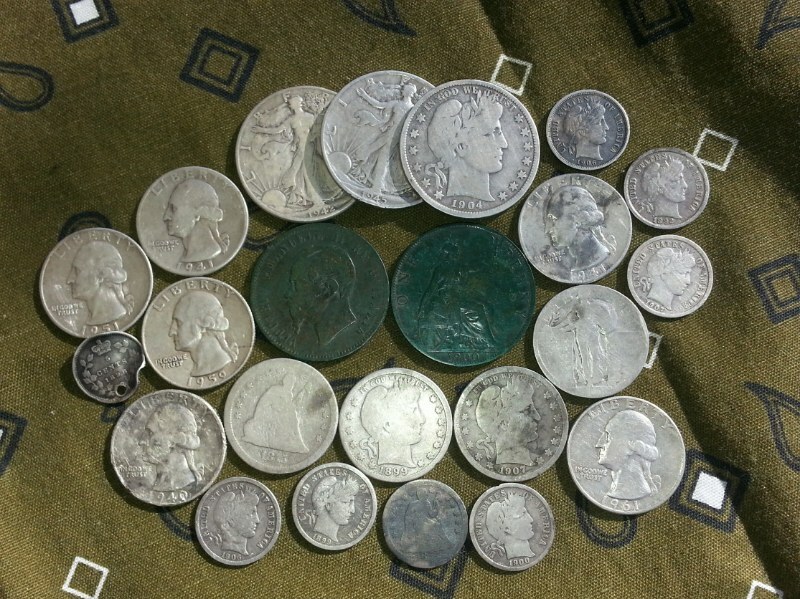 There are a ton of websites that offer excellent tips on finding coins. I followed them to a “T”, but I couldn’t find a silver coin to save my life. Here’s what I figured out in the past year. When I first started metal detecting I dug only signals that repeated coin both ways and at 90 degrees. I still dug bottle caps and those aluminum twist off caps. I soon started to realize coins deeper than 4- 5″ didn’t always signal coin constantly or didn’t always signal correctly at 90 degrees. So I started watching signal patterns of how my detector started reacting to different targets under the coil ( I had to dig everyone to see what it was). After a while I could tell what was most likely trash and what “jumpy” signals could be coins. Here’s the rub, you just don’t know until you dig it. Eventually I would come across a signal that wasn’t like any I seen before and sometimes it would be a new kind of trash and sometimes you find a ring, silver coin etc. My first silver coin (Mercury dime) signaled penny, pulltab and dime. As I kept swinging the coil over the target it would be jumping around those three, but mostly hit on dime. I was thrilled to find a silver coin rim in the edge of my 6″ hole. Silver dimes deeper than four inches rang up mostly dime/quarter (might bounce to pulltab and penny, but mostly dime/quarter). Only three silver dimes rang up as dimes and they were less than three inches. Silver quarters rang up quarter/half dollar. So do bottle caps at times unfortunately. So much for constant repeatable signals!